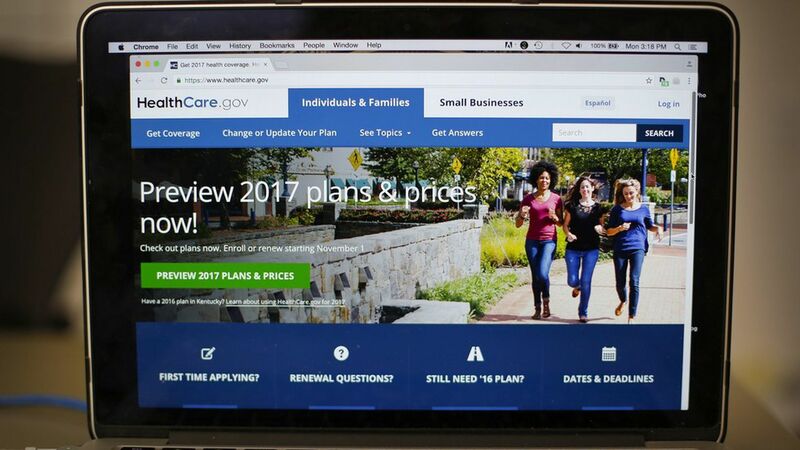 The Trump administration has released its first big Obamacare rule, and it tightens several rules for enrollment to try to "stabilize" the individual health insurance market. Health insurers could refuse to cover a person who hadn't paid some of their premiums during the past year until they've paid their debts. The open enrollment period for next year will be shorter — it will start on Nov. 1 and end on Dec. 15, rather than lasting for three months. Anyone who tries to sign up outside of the open enrollment period through the federal HealthCare.gov website will have to prove they're eligible to do it. Gives insurers greater flexibility in determining the level of coverage in their plans. States will get to decide whether health insurance plans have adequate networks of doctors and hospitals. Not included: A proposal that reportedly would have let insurers charge older customers 3.49 times as much as younger ones, rather than the 3 to 1 ratio allowed under the law. What might be next: The rule says the administration is also thinking of adding new policies to encourage "continuous coverage," like requiring people to prove they've had previous health insurance for at least six to 12 months if they sign up outside of the open enrollment period.